Can I Breastfeed In... Poverty? #WBW2018 | Can I Breastfeed In It? 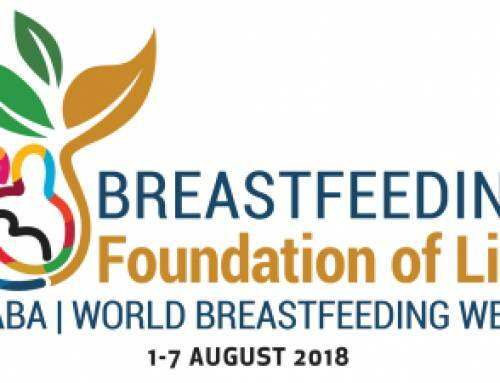 This week is World Breastfeeding Week and WABA has sent information out explaining why it is needed and the positive impact it has to both individuals and society as a whole. We tried really really hard to read it all but we are working mothers. When we are neither working, looking after children or doing chores around the house we are a little too tired to go through it all. This word usually brings up images of far away countries, certainly not people in the UK, in our town. But through my work I speak to people on a daily basis who fall under the Rowntree foundation’s of destitution. People who have to choose between keeping warm and keeping fed. And these are men and women who have worked all their lives but have had the rug pulled from under them in a way that could affect you or me in exactly the same way. It also worth remembering that children have no say in the circumstances they are brought up in. So how does the decision to feed a baby in the UK impact on (or is influenced by) the relative wealth of the family it is born into? Well as this week’s Channel 4 Dispatches Programme and Professor Amy Brown’s book explains it has very little to do with individual choice. Women are told they should, but not given the tools to make it a success. And every factor that influences this decision impacts women in poverty far harder. From being able to attend ante natal classes, to having a positive birth experience or whether there is a support network able to take time off work to help. When you work a zero hours contract and the cost of public transport to a support group is more than your hourly wage these ‘free’ services are still too expensive. Moving on to formula, the cost of a box is one issue, and already we are into controversy. Dried milk is a very cheap product and even with all the extra ingredients to make it more suitable for babies it should not cost as much as it does. There is a campaign at the moment asking the government to investigate the cost of formula, which in my opinion is heavily affected by marketing and packaging. Current NHS guidelines state that every single bottle has to be made using freshly boiled water and this is for very good reason. A friend of mine used formula in a university science experiment because bacteria grows faster in it than anything else. As soon as a pack is open, bacteria enter it and it becomes a health risk. So it is vital to use hot water to sterilise it and throw away unused milk and milk powder as described in the manufacturer’s guidelines. But when you are on a low income this is easier said than done. Some of my customers would spend a huge chunk of their weekly fuel budget on boiling kettles, heating water to clean bottles and then sterilising everything. Then there is the health impact of not breastfeeding. We are lucky enough to have an NHS and free prescriptions for children, but the cost of a taxi to the doctors because the thought of standing at the bus stop in the cold and the disapproval of strangers because your baby is crying is too much isn’t covered. Lots of parents find themselves having to fund specialist formula and get it on prescription. Personally I think the NHS’s limited resources could be better spent. I haven’t even started on the other linked products such as the bottles, colic relief drops and so on. At every step there are big businesses making money by making, selling or advertising products that are often unnecessary are are targeted at the people who can least afford them. I do not believe mothers are at fault here, they deserve better and we need to demand better for all women, regardless of how they feed their babies and what led to that decision. So the issues regarding infant feeding have wide reaching impact on the families but have deep rooted causes that campaigners such as those of us at CIBII cannot change. We are largely unpaid volunteers and do not have the resources and influence of the Formula Industry. There is also not enough money to be made from encouraging mothers to breastfeed to make it profitable for big business to change their strategies. So as pleased as I am that those of us who can support other women do, and that a World Breastfeeding Week exists to raise the profile of such an important issue, there are 51 weeks of the year that are just as important when breastfeeding mothers are told to sit in the corner, cover up and not make a scene.